Free Shipping on orders over $99 with coupon code shipforfree99. *Please note 7-day Fedex transit time is in addition to our standard production time. This coupon is good for ONE box (up to 1,200 cookies) only. The remaining boxes will be billed at the normal ground rate. Where Is Our Fortune Cookie Bakery? All orders are shipped from the Fancy Fortune Cookies bakery in Indianapolis, Indiana. Please refer to the chart to the left for ground shipping times via FedEx. * All Rush and Quick Ship orders will incur additional fees. Call for details at 888-776-6611. Receive your own Personalized Fortune Cookies in only 5-7 business days plus shipping! â€¢ For personalized fortune cookies allow 5-7 business days to bake and package your custom baked order. â€¢ Giants, gift tins and samples ship in 1 business day. â€¢ Shipping time is in addition to production time. â€¢ We are not responsible for late delivery due to the shipping method you choose. â€¢ We ship via FedEx and they do not require a signature for delivery. â€¢ Please call 888-776-6611 then press 0 if you have any questions, or need RUSH service. Thank you! Any chocolate dipped product needs to be shipped by FedEx Priority Overnight shipping. Please select one of these two methods at checkout. If these methods are not chosen, then we reserve the right to upgrade your shipping and charge you appropriately. If weather and location allow for other methods of shipping, such as ground, we will ship the best way and credit you for the difference. Orders are shipped FedEx unless otherwise requested. Call 888-776-6611 or 317-299-8900 and ask for Derek for pricing on next-day, second-day, or international shipping. We are not responsible for any delays caused by FedEx or the carrier of your choice. We do not ship any chocolate covered gifts or chocolate covered fortune cookies on Fridays. This way we can ensure they do not sit in a hot truck or warehouse over the weekend causing them to melt. Expedited, Alaska/Hawaii, and International addresses will require additional transit time. PO Boxes, APO/FPO and International addresses may take longer. Delivery time cannot be guaranteed for incorrect or incomplete addresses. Giant fortune cookies are not sent out on Fridays, only Monday thru Thursday. Please plan accordingly. We are not responsible for packages that are delivered to an address and left at the door. We highly recommend shipping to an address where someone is there to receive the package. Any chocolate dipped product needs to be shipped by FedEx Priority Overnight shipping during the months of April-September. Please select one of these two methods at checkout. 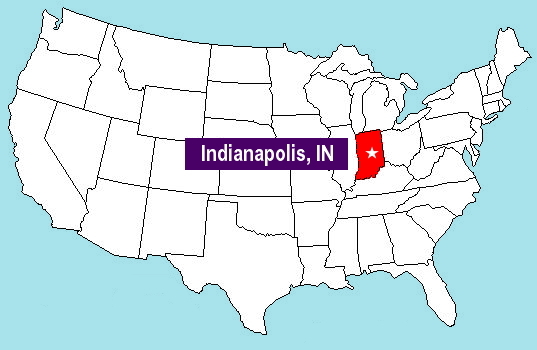 ground shipping is fine most of the year to Indiana, Illinois, Ohio, Pittsburgh, and St Louis as these are a one-day ground transit from our fortune cookie bakery in Indianapolis. During April-September, if the appropriate express shipping methods are not chosen then we reserve the right to upgrade your shipping and charge you appropriately. If weather and location allow for other methods of shipping, such as ground, we will ship the best way and credit you for the difference. Any chocolate dipped fortune cookies need to be shipped by FedEx Priority Overnight. Please select one of these two methods at checkout. Because we want your fortune cookies to arrive in the best condition possible, we reserve the right to upgrade your shipping & charge you appropriately. If weather and location allow for other methods of shipping, such as ground, we will be happy to ship the best way and credit you for the difference. We highly recommend that any chocolate covered fortune cookies are shipped to an address where someone will be home and able to receive the package when it arrives. A workplace is always a great place to ship to especially in the summer months of April - September. Chocolate covered fortune cookies that are left outside all day may be damaged by weather that is too hot, rainy, or humid. If no one is available to receive the package, we are not responsible for melted chocolate or other damage to the package. Fancy Fortune CookiesÂ® is not responsible for packages that have been delivered and left outside. We do not ship any chocolate covered gifts or fortune cookies on Fridays. This way we can ensure they do not sit in a hot truck or warehouse over the weekend causing them to melt. For international shipments we will select the best shipping method for your order. The rates calculated on our website are for FedEx only, however we reserve the right to ship via other carries and will notify you of the change. We are not responsible for customs delays, or for returned packages. Please make sure that non-perishable food items can be imported to your country before you place your order, and through which carriers. We do not recommend shipping Giant fortune cookies or chocolate covered fortune cookies internationally unless you select express shipping options. We recommend Overnight and 2-day air and will not be responsible for the condition of products shipped ground. Canada is not included in this statement. To receive a refund or credit of any type you must return the damaged goods. If you have received an item that is damaged, contact FedEx - please be sure that FedEx logs a record of your call and that the item was damaged in shipping - within 24 hours of receipt. Once you have contacted FedEx call Fancy Fortune CookiesÂ® customer service at 888-776-6611 to notify us of the situation within 24 hours. (Please ask for Derek, or if he is not available, ask for Erin.) We will work with FedEx to obtain a refund and credit. Once we receive the refund from FedEx we will credit you appropriately. Fancy Fortune CookiesÂ® is not responsible for packages that are delayed due to extreme weather, natural disasters, acts of God, delays caused by events out of our control, or delays caused by incorrect or incomplete addresses. We are not responsible for shipments sent to an incorrect or incomplete address. If FedEx does an address correction due to your error in putting in your shipping address, we will charge you $11.00 for the address correction. Fancy Fortune CookiesÂ® does not guarantee the ground shipment of chocolate covered fortune cookie products or gifts between the months of April - September to all locations. While we do include complimentary cold packs in with your chocolate covered cookies, if it is over 70 degrees Fahrenheit, we highly recommend you select an appropriate shipping method (Priority Overnight) to ensure the chocolate does not arrive melted. Please Note: For delivery to the states of AZ, FL, LA, MS, NM, TX, GA, UT or any other extremely hot/humid state, you should select Priority Overnight shipping to ensure the chocolate covered fortune cookies arrive in good condition. 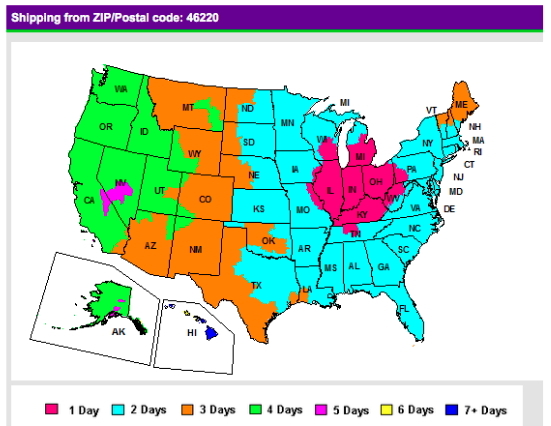 Fedex Priority Overnight is guaranteed deliver by 10:30 am to 93% of all zip codes in America. If you are in a rural area, far from a major airport, you may be in the 7% of zip codes that are not guaranteed a morning delivery. To check this you can call FedEx at 1800-GO-FEDEX or visit FedEx.com to check delivery times in your area. We are not responsible for melted chocolate due to the shipping method you select, this includes if you select priority overnight but are in a rural area that is not a guaranteed FedEx morning delivery. FedEx delivery times are your responsibility to check. If no one is present to receive the package at time of delivery, we are not responsible if damage occurs due the the package being left outside in extreme weather conditions. In the spring and summer months, please have your chocolate covered cookies shipped to your place of business or where someone will be available to receive the package at the time of delivery.